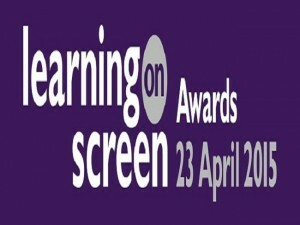 Yorkshire Film Archive are delighted to announce the first in a series of training events for public sector organisations and individuals working directly with, or with a specific interest in the work of the UK’s Film Heritage Collections. 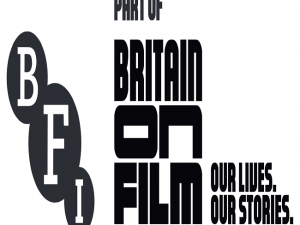 Film archives throughout the UK see the results of their work as partners of the BFI’s ‘Britain on Film’. 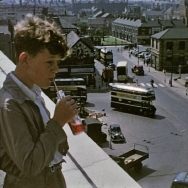 Launched officially on 7th July 2015, the National Lottery funded ‘Britain on Film’ reveals a fascinating moving image history of people and places from the UK’s archives. 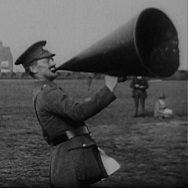 The project’s digital platform, BFI Player, showcases thousands of films from 1895 to the present day which can be searched via the Britain on Film’s map. 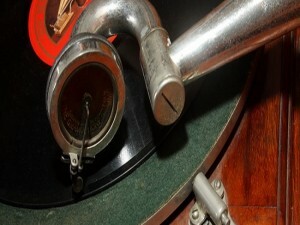 The nation’s sound collections are under threat, both from physical degradation and as the means of playing them disappear from production. Archival consensus internationally is that we have approximately 15 years in which to save our sound collections by digitising them before they become unreadable and are effectively lost. We would be very interested to hear about the current status of any and all sound collections and Film Archives UK may currently hold across all formats both analogue and digital. The Film Archives UK 115th meeting took place on Thursday 5th March in Bradford, UNESCO City of Film and a very special thanks to Bradford City Council for allowing FAUK members to hold their meeting in their wonderful City Hall. FAUK members met before lunch on 5th for a tour of the National Media Museum. The Museum’s Associate Curator, Toni Booth took us all on a special tour showing us some special secrets from their fascinating collections. Members were particularly interested in the collection of early cameras and televisions and enthralled by the original blood squirting teeth worn by Christopher Lee in the Dracula films! A special thank you to Toni from us all at FAUK for her time and giving us such an interesting tour of the Museum. Members met for a light lunch in the Seville Room at City Hall, Bradford before the meeting. The next meeting will be held in London on 4th June at the Imperial War Museum – Please put the date in your diary. 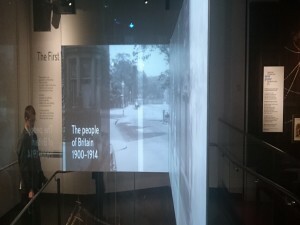 Since the earliest days of film making nearly 120 years ago, people have been recording the places they live – their families, streets, schools, shops, workplaces, important events, everyday lives – all of which have been captured on film by professionals, amateur enthusiasts, cine clubs and home movie makers alike. 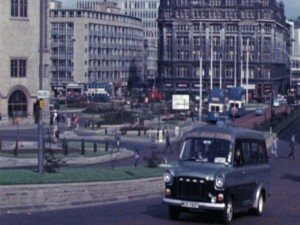 Hull is no exception, and the Yorkshire Film Archive are launching their new Film Search Hull campaign to find and preserve Hull’s very own film heritage, so that once again people will be able to see and share the amazing images and stories revealed through these astonishing film collections. 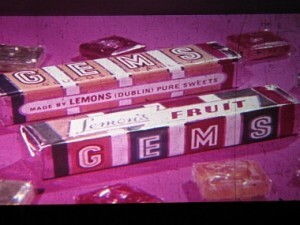 The Broadcasting Authority of Ireland has awarded the Irish Film Institute €289,000 under its Sound and Vision Archiving grant scheme toward an 18 month project to conserve, preserve, digitise and make accessible a large collection of 35mm film television advertisements made by a number of prolific Irish advertising agencies.